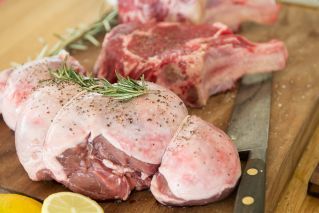 Beef and dairy cattle, sheep, pigs, chickens, turkeys, goats, alpacas, deer, rabbits and bees are farmed in South Australia for meat, wool, hides, milk and honey. In 2017-18 South Australia produced 92,000 tonnes of beef from its 4,000 beef producers, with a wholesale value of $594 million. The chicken meat processing industry is the fastest growing livestock industry in South Australia and in 2017–18, 133 million birds were processed. The Meat and livestock key messages and fast facts (PDF 231.4 KB) provides comprehensive messaging, including fast facts, about the meat and livestock industry to help gain an understanding of it in South Australia, including production and farm gate value.